In 2000 I've started to travel the world looking for all that I couldn't find at home. Yoga is been a constant path that I’ve experience everywhere I travel to: India, Bali, Mexico, Thailand, Australia, Sri Lanka, Ecuador, Reunion Island...have been my temporary schools. In 2010 I took a 300 hrs YTT at Satyananda Yoga University in India. Today I am excited to share all that I've keep in my backpack! I facilitate eclectic Yoga classes, a blend of different styles depending on the people that are on the Yoga Shala. I never know what is going to happens before I start the class, as life is in the here & now. We all create the class! Hatha Yoga, Pranayamas, Dance, Meditations, Partner yoga, Thai-Yoga and Nidra are mixed in this adventure that I adopt to all levels and needs.  My classes are centered in developing self body consciousness and releasing the muscular and mental tensions, this is my speciality from many years of experience as Thai-Yoga massage therapist. I believe than health is the capacity of adaptation and movement, that is what I am aiming to transmit. JOIN OUR LAUGHTER CLUB ! Do you know that laughter has innumerable health benefits for our body, mind and soul? The slogan of Laughter Yoga in “fake it until you make it”, because the body can not distinguish between real or fake laughter, but It will get the full benefits from it. Prepare to let go and connect with your inner child in the sessions facilitated by Eva and Alejandro. We are certified Laughter Yoga leaders by the “Laughter Yoga University” of India. Yoga Nidra is state of relaxation similar to the state between being awake and sleeping, induced by a particular practice of a guided meditation with visualizations. The practice of this yoga relaxation has been found to reduce tension and anxiety, and to be restorative to the general condition of the body and mind. Eva´s yoga nidra session are a beautiful journey into our inner self that will take you straight to heaven! Come to one of Eva´s classes and literally melt on the mat! These sessions are not about singing well or being in tune, they are about raising the vibration of the group with our unique voices and singing easy spiritual songs and mantras that uplift and open the doors of our hearts .